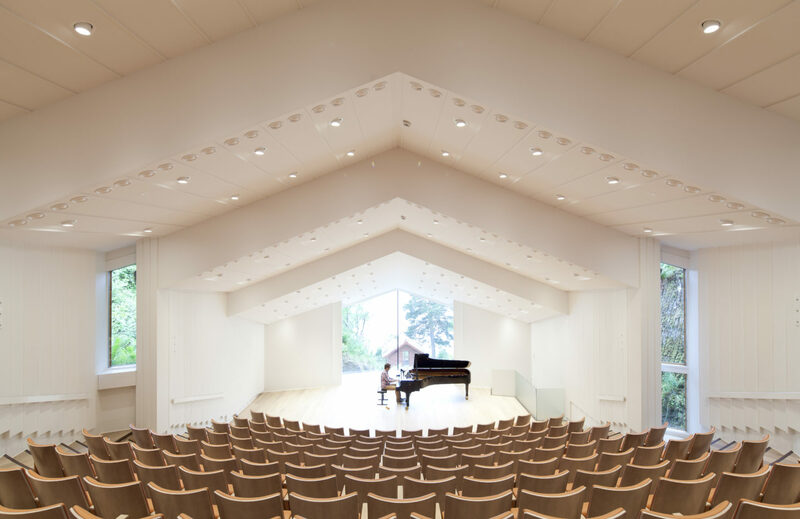 ‘Troldsalen’, a small concert hall situated by the former home of composer Edvard Grieg in Bergen, has undergone a thorough renovation, improving the acoustics and updating the interior. 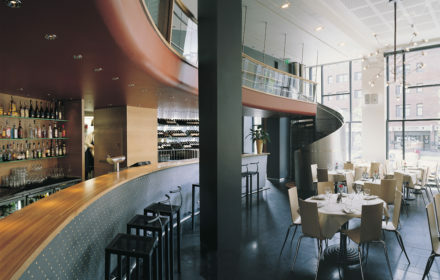 The building was originally designed by Peter Helland-Hansen and Svere Lied in 1985. The fragmented shape fits into the hilly site at Troldhaugen and opens up views to Grieg’s small composer’s hut overlooking Nordås Lake. 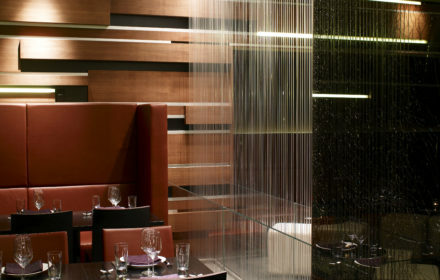 We have focused on this strong relation to the surrounding landscape and redesigned the glass wall behind the stage completely without mullions. 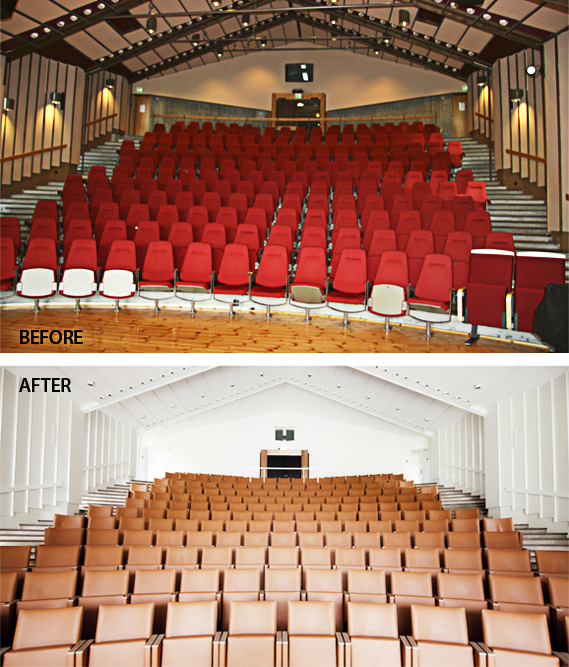 The visual expression of the concert hall has been simplified by painting the walls and ceilings. New lighting, wooden floors and leather seats also contribute to the new refined look. The stage entrance has been rotated so that musicians have visual contact with their audience as they enter the stage from below. 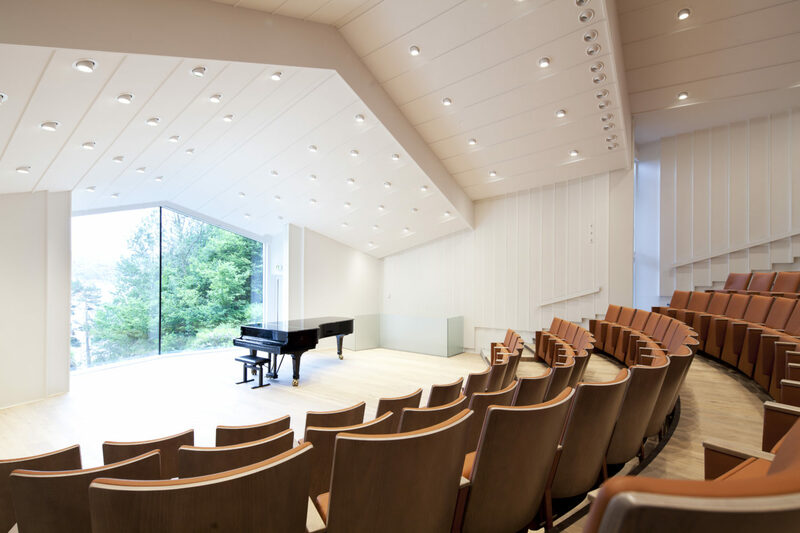 The soundproof entrance to the concert hall has been improved acoustically and the outside walls have been clad with perforated copper plates highlighting the shape of the entrance box against the white walls. The project was funded in collaboration between the Edvard Grieg Museum, Bergen city council and private donors.